Simon has held various positions in the insurance industry and legal profession since 1993. He was admitted to legal practice in 2000. Simon worked as a Claims Manager for a major insurer for a number of years where he gained wide experience in claims management and handling. Simon has since practiced extensively in the areas of insurance litigation and acted for numerous insurance companies, private employers, government departments as well as individuals. He has enjoyed a successful career advising on all aspects of CTP, workers compensation, public liability, professional indemnity, superannuation, income protection, total & permanent disablement and life claims. He also has a keen interest in property transactions and commercial disputes. 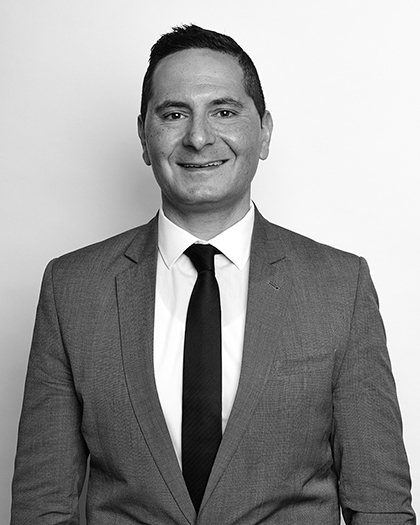 Simon has conducted litigation in various jurisdictions across NSW including the Local, District and Supreme Courts, as well as specialist tribunals including the Motor Accidents Authority, Workers Compensation Commission, Superannuation Complaints Tribunal and Administrative Decisions Tribunal. He is also admitted to practice in the High Court of Australia. Simon also speaks fluent Arabic.